As a CPA with over 10 years of experience in the accounting industry, I’ve found that while no two businesses are the same, one major draw for shareholders incorporating a business with an S corporation election is the benefit of its pass-through income and loss structure. 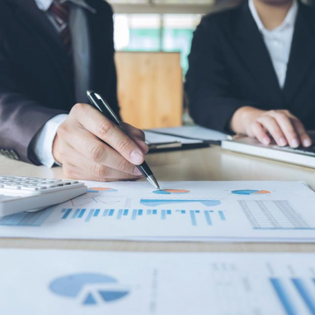 With income and losses passing through the corporation to the shareholder’s personal tax returns, businesses can get around double taxation at the corporate level. Furthermore, shareholders can often also deduct losses from the S corporation against other income — such as wages, interest income or other business income — on their personal income tax return. Pass-through entities are not taxed directly, and profits from S corporations are not subject to payroll or self-employment taxes. Based on my professional experience, these taxes can add up to approximately 15% of the payroll amount combined for the employer and the employee, which for small businesses is often the same person. One caveat to this business structure is that shareholders carrying out more than minor services for the corporation are considered employees and need to receive fair and reasonable compensation, which is subject to payroll taxes. In order to prevent S corporations and their shareholders from dodging paying payroll taxes, the IRS has mandated that shareholders take a reasonable and fair salary to avoid maximizing distributions that are not subject to payroll taxes. Typically, to establish what is a fair and reasonable salary, S corporation shareholders should consider how they would determine the salary of an employee, including qualifications, job responsibilities, amount of time devoted to the business and what comparable businesses are currently paying for similar services. There are other factors that can play a role in determining the reasonable salary for shareholders as well, such as the type of business, years the business has been operating, other employees generating profit for the business, capital invested in the business and so on. The IRS doesn’t have specific guidelines for estimating what constitutes a reasonable salary, so it is important to establish and document how the determination was made that shareholder salaries are reasonable in case of an IRS audit. In the eyes of the IRS, if too little salary is paid to shareholders, then the distributions are higher and the IRS could be missing out on potential payroll taxes. As of 2018, justification for S corporation shareholders to have a reasonable salary is more important than ever because of the new 20% Qualified Business Income Deduction. The general rule for the new deduction for pass-through entities gives S corporation shareholders a 20% deduction on the business profits but not on the wages the shareholder receives from the S corporation. For example, a shareholder with $200,000 in profit from the S corporation before their payroll takes $70,000 in wages and $130,000 in profit distribution. Prior to 2018, the tax savings from reducing the shareholder’s payroll from $70,000 to $40,000 would be nearly $4,500, but the same payroll reduction in 2018 could now generate close to $6,000 in tax savings. This additional $1,500 tax savings is a result of the new 20% Qualified Business Income Deduction on the additional $30,000 that was reclassified from the shareholders’ wages to profit distribution, assuming that the taxpayer/shareholder’s marginal federal income tax rate is 25%. The additional $1,500 tax savings benefits the shareholder of course, but at the same time it does give the IRS a larger incentive to question the reasonable compensation requirement. Since the incentive to underestimate S corporation shareholders’ compensation in the form of wages is greater than in previous years, will the IRS decide to examine S corporations and their shareholders more frequently and in more detail? If the IRS reclassifies shareholder distributions as wages, payroll taxes must be paid for those wages, and there will likely be additional hefty penalties for not filing and paying payroll taxes. I believe the IRS might decide to audit more often now that S corporations will save more money than before by reporting low wages. We will have to wait and see how this plays out, but I believe there will be more IRS audits of S corporations and their shareholders because of the new tax legislation and the 20% Qualified Business Income Deduction. In the meantime, S corporation shareholders should consider consulting with their CPAs prior to the preparation of this year’s tax return to make sure they are avoiding any other mistakes that could increase the risk of being audited, and keep them on track for 2018.